It was late, and I had already gone to bed, when Krista heard a truck pull up in front of our house. Krista didn't think twice about the sound, thinking it was one of the neighbor kids coming home after hours. It wasn't until I walked out to the 4Runner the next morning that I noticed. I did not notice immediately, though, it was one of those double-take moments. 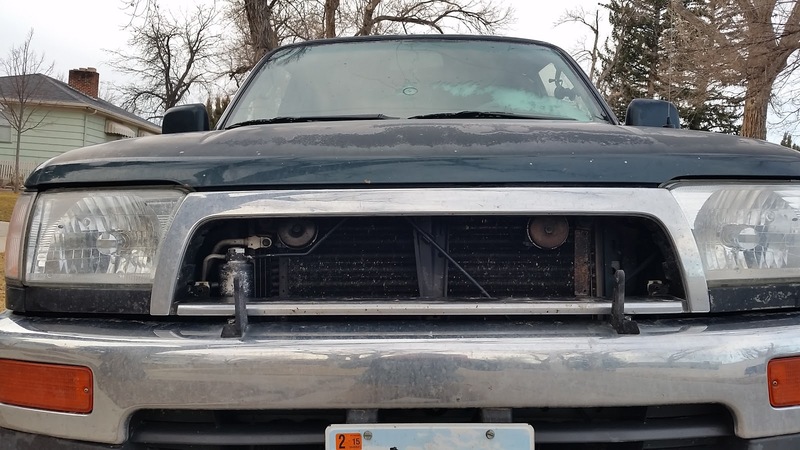 I walked past the front of the 4Runner stopped, took a few steps back, looked down, and realized the front bumper was void of the LED light bar. It was at this point that I was glad the neighbors, and their children, were not outside. A string of expletives, that would have made a sailor blush, followed my discovery. The thief was able to unbolt the light bar from the mounts and reached into the open grill to cut the power cord. I guess I was more surprised that it was stolen, and I am sure the thief was surprised to arrive at home only to discover he stole a cheap Chinese-made bar. I didn't expect this to happen, especially in the nice neighborhood we chose to live in. Thankfully I had Rigid Industries new 20" E2 bar sitting in the garage to review. The RI light bar is a loaner and I did not want to find my self having to explain to RI how their light bar had been stolen while we were testing it. With that in mind I began doing a little bit of research on tamper-resistant fasteners. My search eventually led me to Innovative Creations, Inc. and their 'Light Locks' line of fasteners. ICI claims their "Light Locks unique asymmetrical shaped nuts and bolts repel and defeat all common tools and other security bit tips, which can be purchased from any local hardware stores." So how do they work? The specially keyed driver has a series of radial ridges that uniquely match the grooves on the inside of the fastener. To install the nuts, you mus first align the ridges with the keyed driver and then tighten the fastener down. The key I was supplied fit a 3/8" ratcheting wrench and I was able to quickly rotate the fasteners locking nuts into place. Bot their Light Lock bolts and nuts are serrated to lock into place when tightened against a flat surface. Now to the part of the review everyone is waiting for, testing. I can honestly say I am impressed with the design. My previous light bar was stolen in a matter of minutes, so I set out to see if I could remove the fasteners in under five minutes. I am happy to report I was not able to remove the fasteners, without the key, even after the five minutes had come and gone. I tried multiple pliers, even locking pliers, with no success. The tapered head did a phenomenal job of resisting the jaws. You can even see in the bottom photo the jaws left groove marks in the base metal. The narrowness of the keyed opening leaves little room for a flat-head screw driver and I was unable to remove the nut with any other tool I had in the garage. 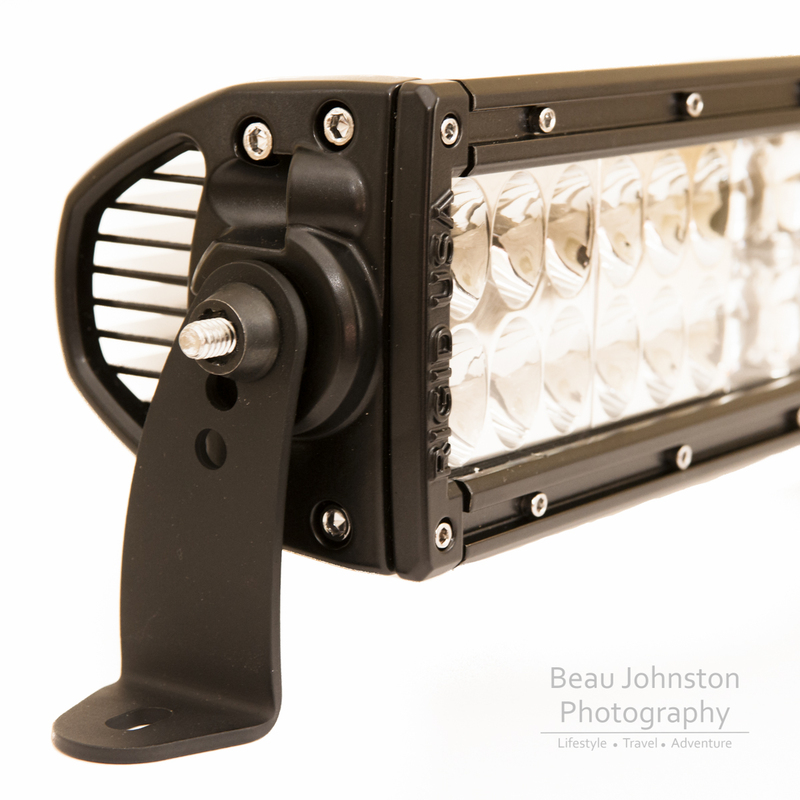 My conclusion is simple, I should have invested in a set of Light Locks for my last light bar. I fully believe if I had invested I would still be running my original bar. I am not saying there is no way someone would be able to walk away with your LED light bar if they have Light Locks installed. I am saying they are going to need an awfully lot of time to get past these fasteners. Most thieves are going to make one or two attempts to pull of the bar; the more time they spend around your truck, the higher the chance someone will see them. Learn from my mistake, protect your investment, Light Locks are a cheap insurance policy to make sure your accessories don't walk away when you are not looking. 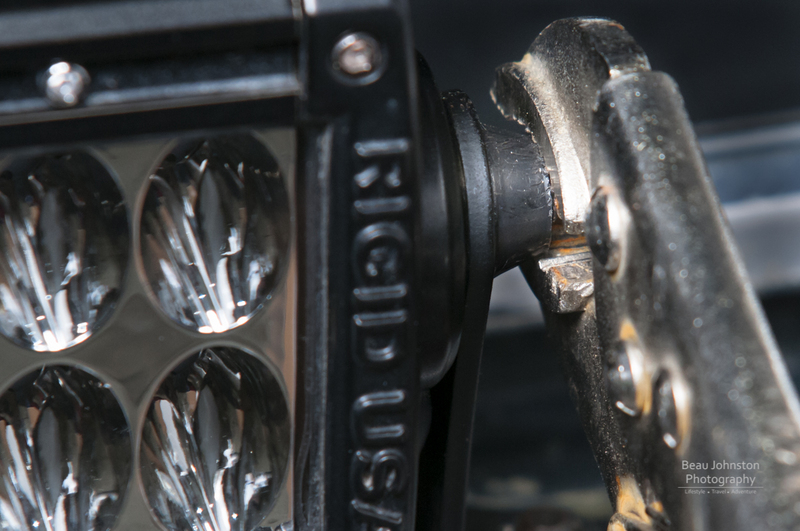 The best part is, Light Locks can be used to secure more than just off-road lights. I fully intend to purchase another set, or two, before the next set of lights and accessories are installed on the 4Runner or Land Cruiser. Kits are available in 1/4-20, M6, M10, and 5/16-18 so there are lots of options for mounting accessories. This fall, while operating the winch on our 4Runner, I noticed some scratches on the Light Locks securing our 20" Rigid Industries lightbar to the bumper. At first I thought the paint was coming off of the fasteners but upon closer inspection I realized someone had attempted to use pliers to remove the Light Locks tamper-resistant nuts. I am not sure when the attempted theft took place but I am here to say it was foiled thanks to the Light Locks. Disclosure of Material Connection: ICI stepped up, when they heard my old light bar had been stolen, and provided the Light Locks used in this review in consideration for review publication. Bummer to see you too have become a victim of these low life criminals. I just had my overland jeep broken in to a couple of weeks ago and had about $1k of gear removed from my rig. 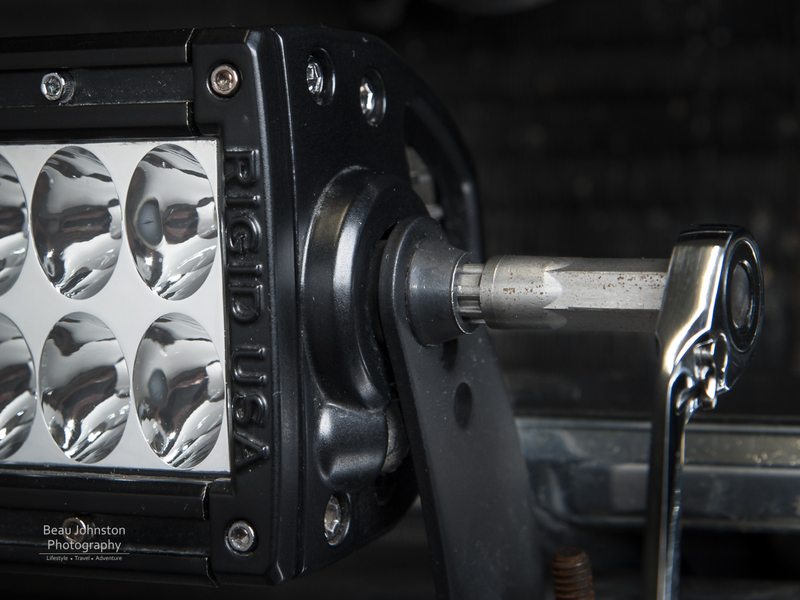 For your light locks, did you put one on each side, or what would be your thoughts on using 1 lock bolt per light? (I have 7 rigid lights around my rig). I replaced both 1/4-20 nuts supplied with the Rigid bar, and the nuts I used to mount the brackets to the bumper. I would replace as many as makes sense for your setup, the key would be to think like a thief secure accordingly. I too have fallen victim to a light thief. I simply drilled out my allen head bolts and filled them with jb weld. I then tack welded the bracket bolts. I then ran a cable lock through the back of the light and connected it to the roof rack. I think I covered my bases.